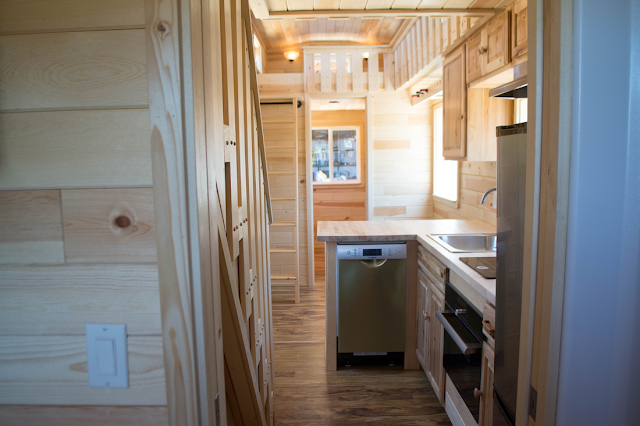 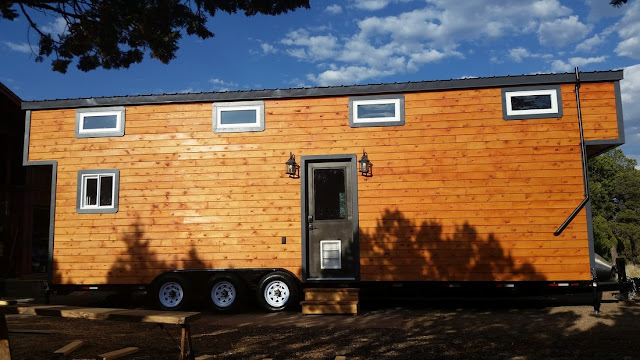 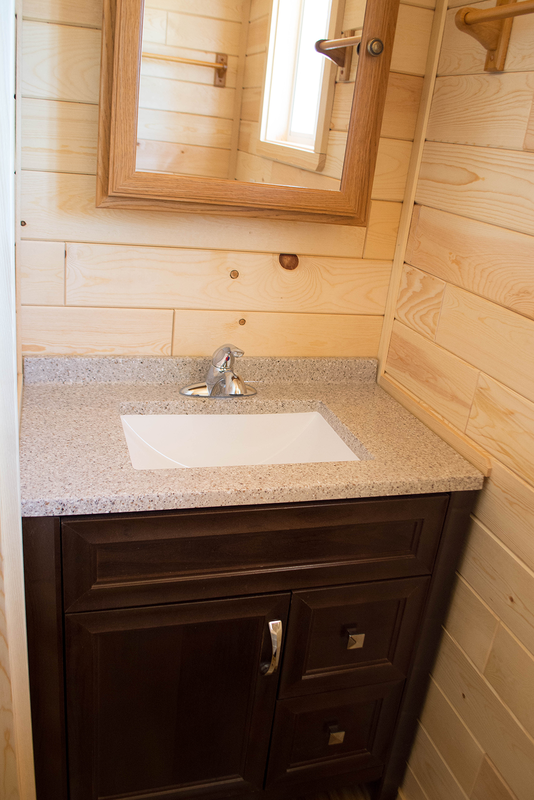 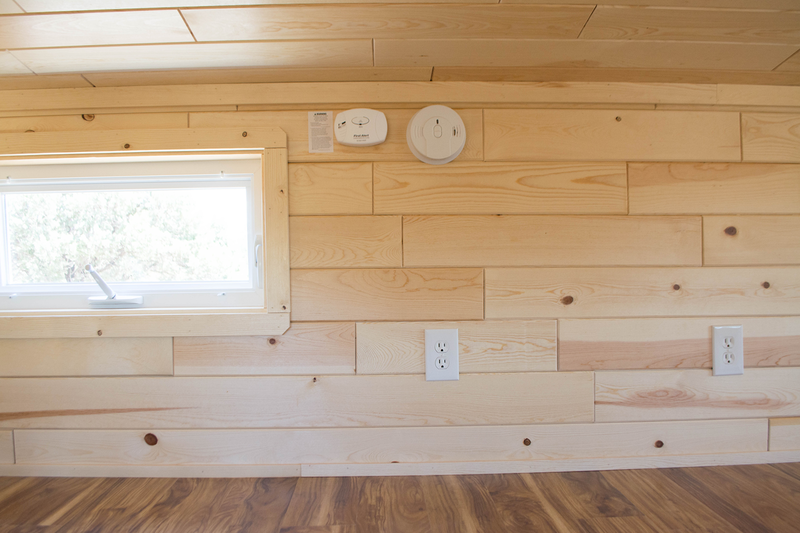 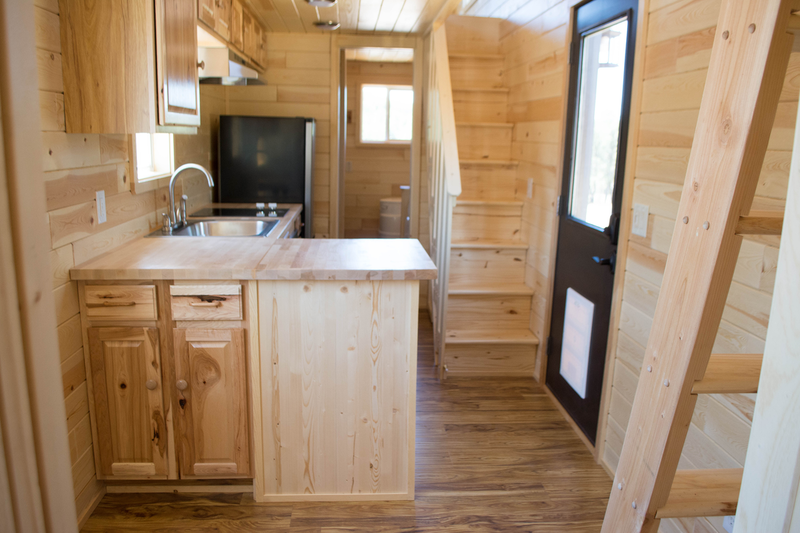 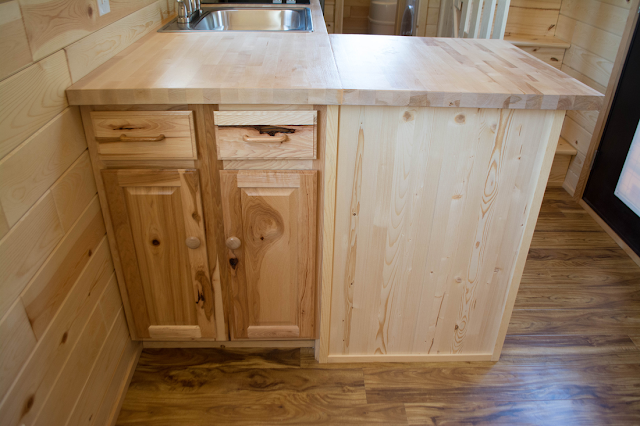 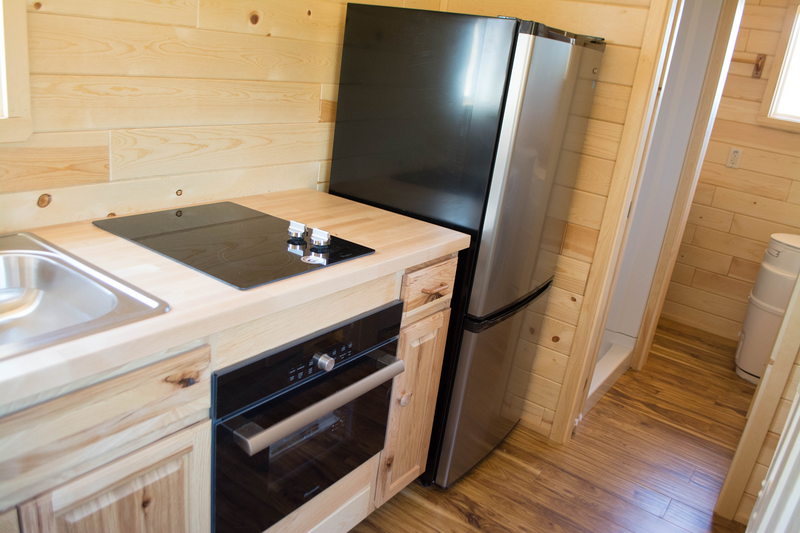 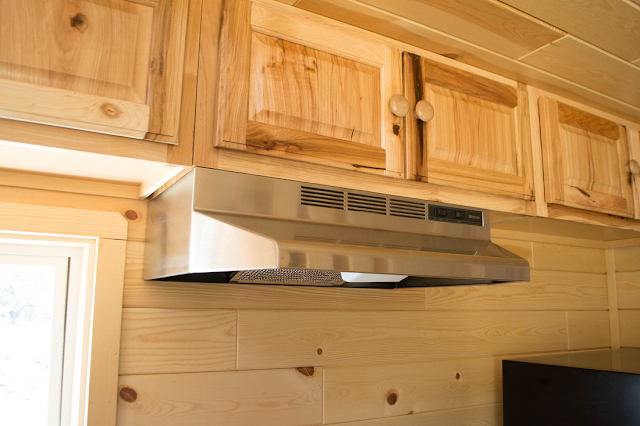 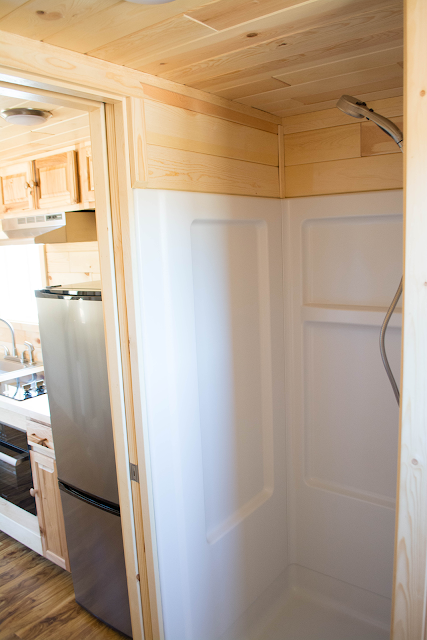 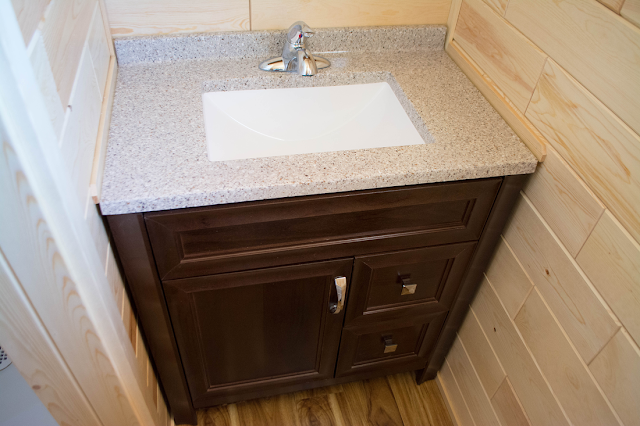 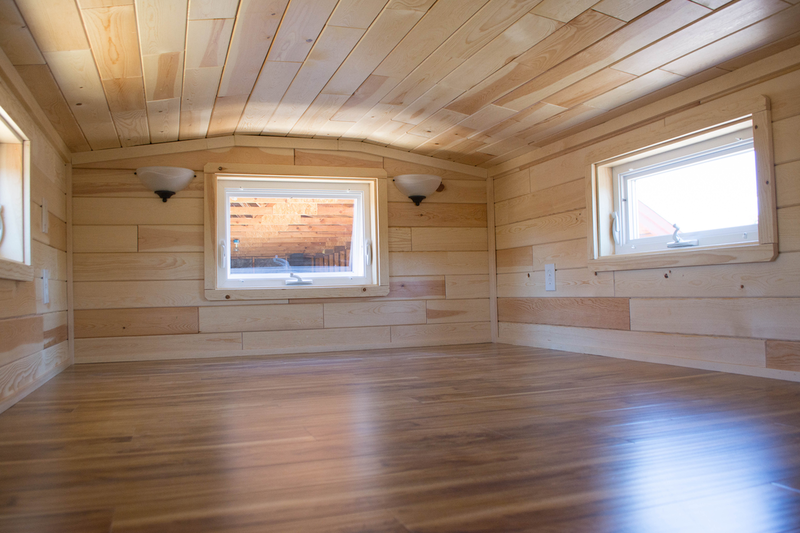 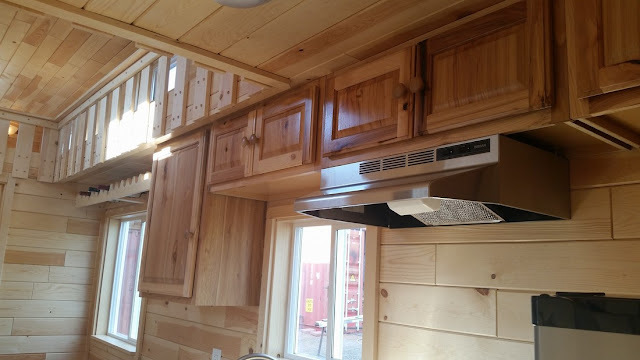 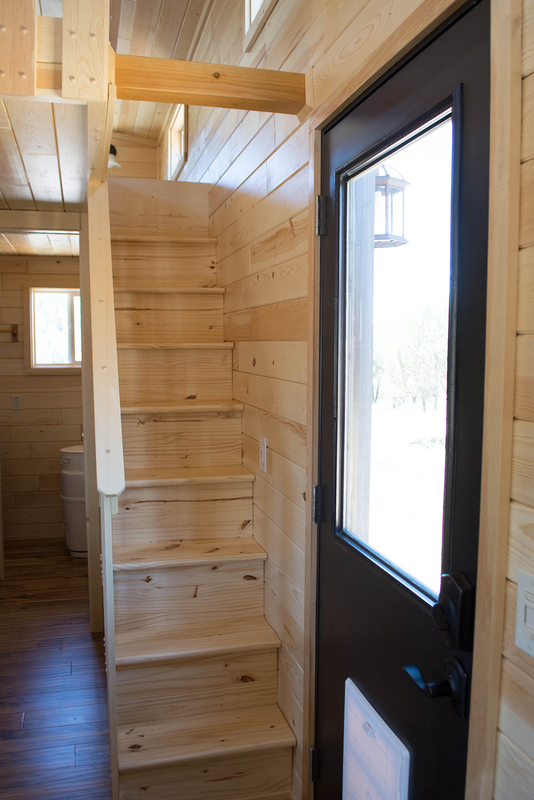 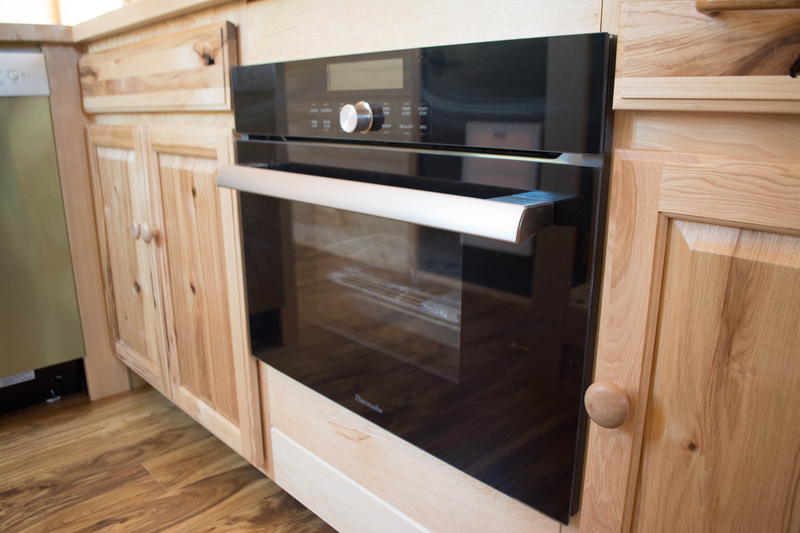 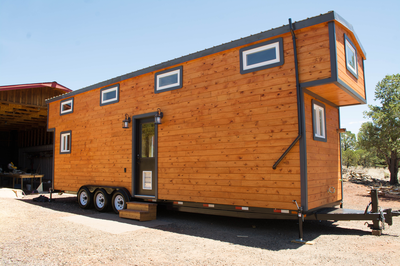 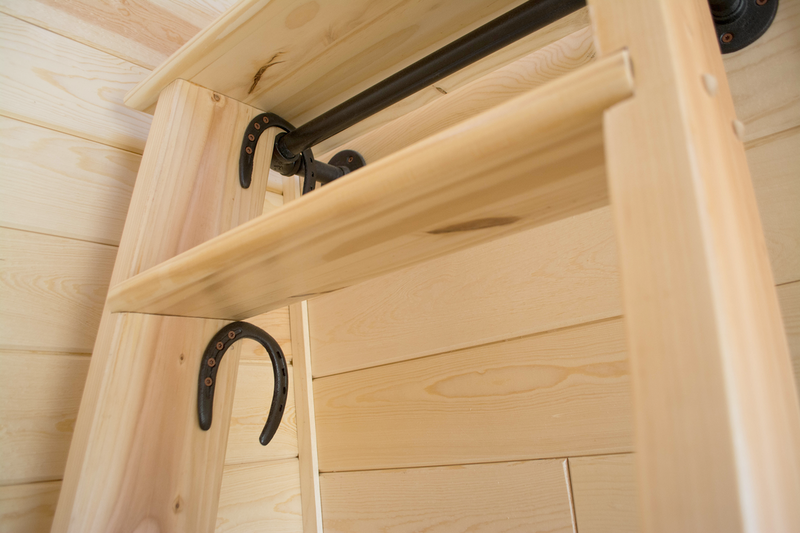 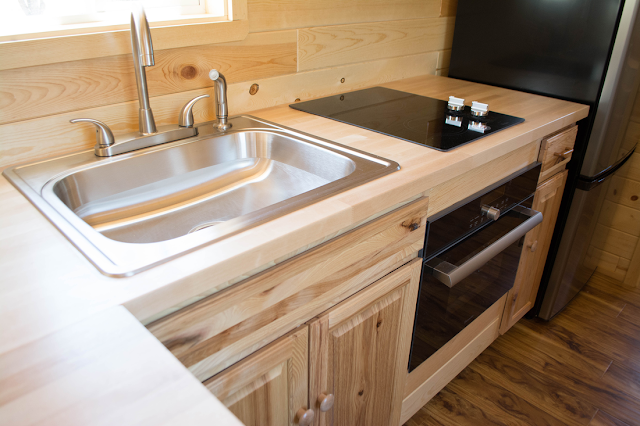 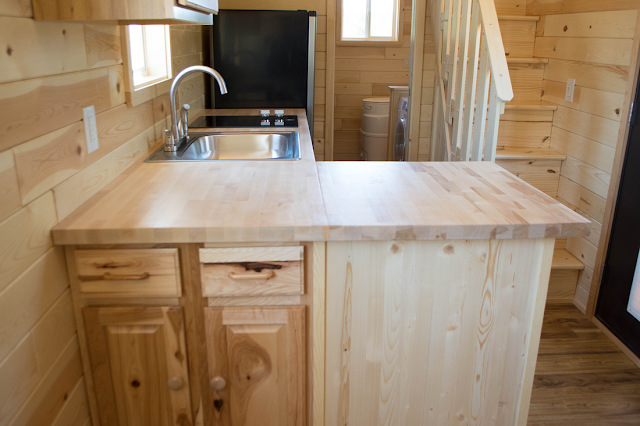 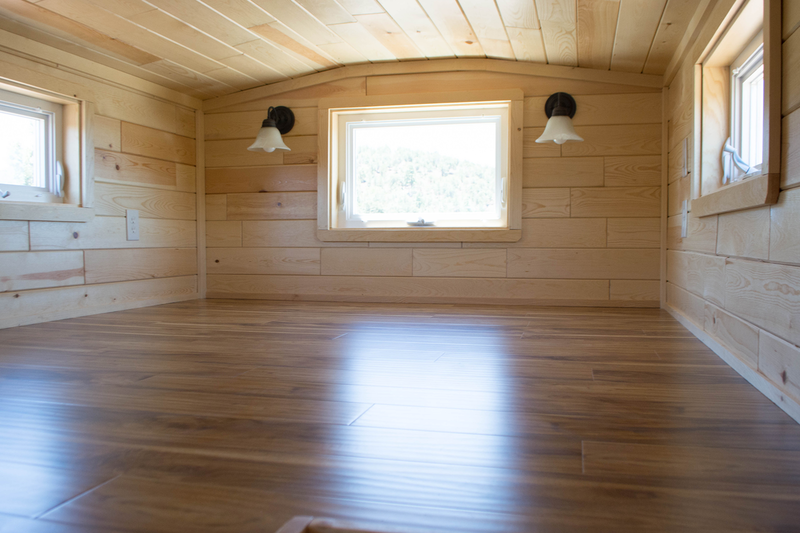 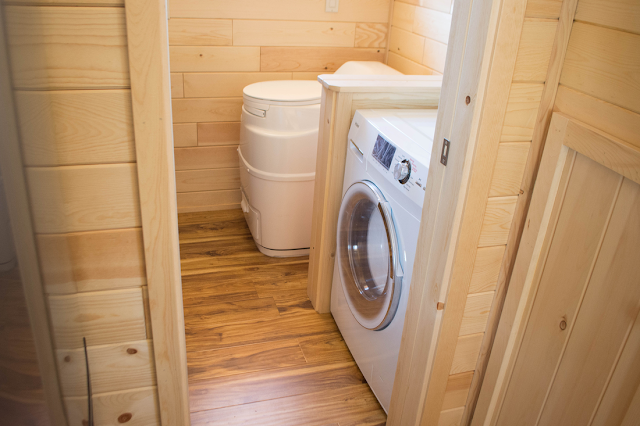 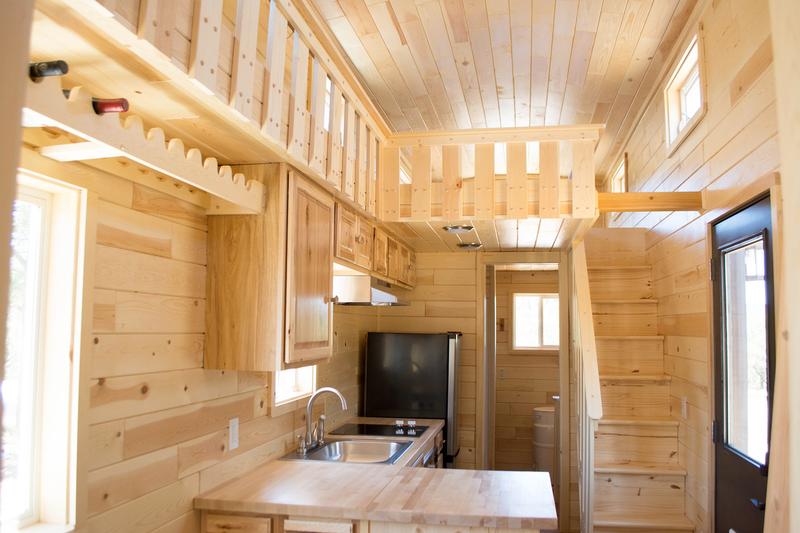 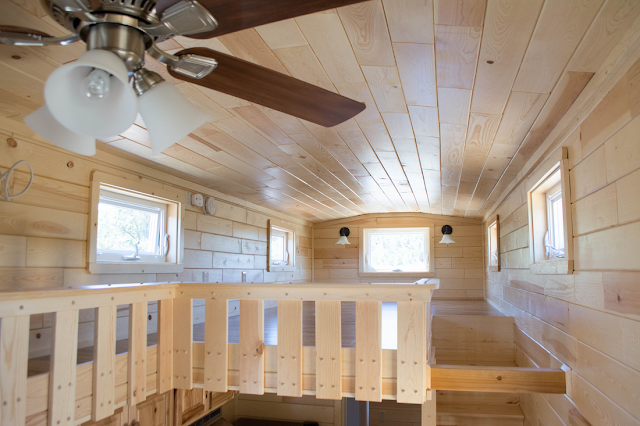 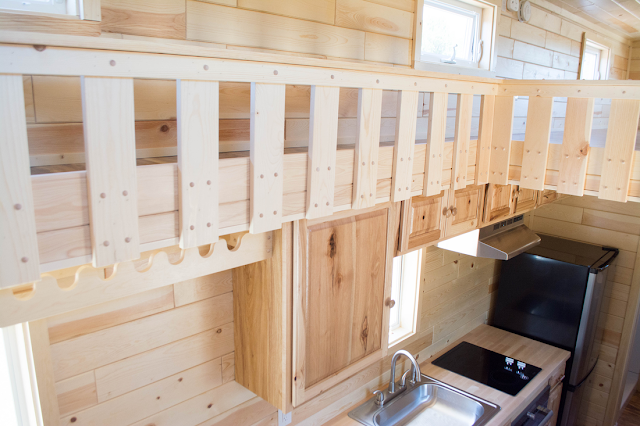 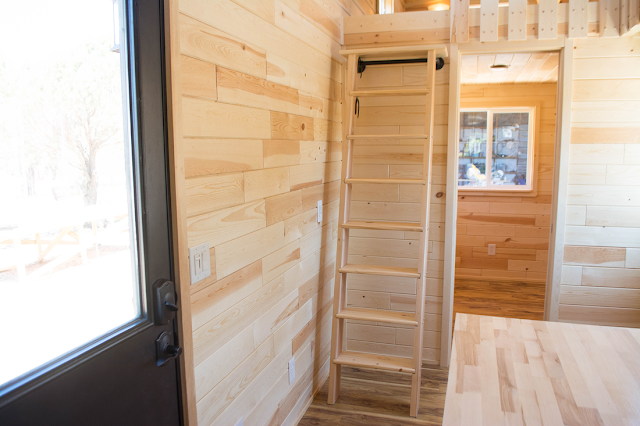 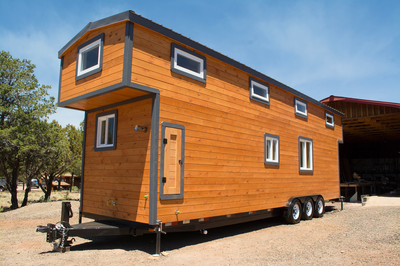 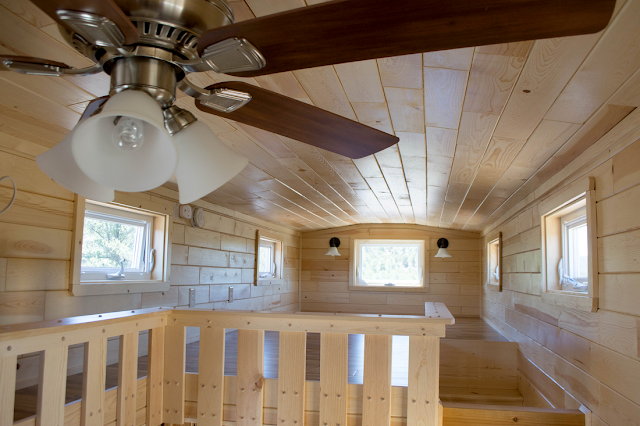 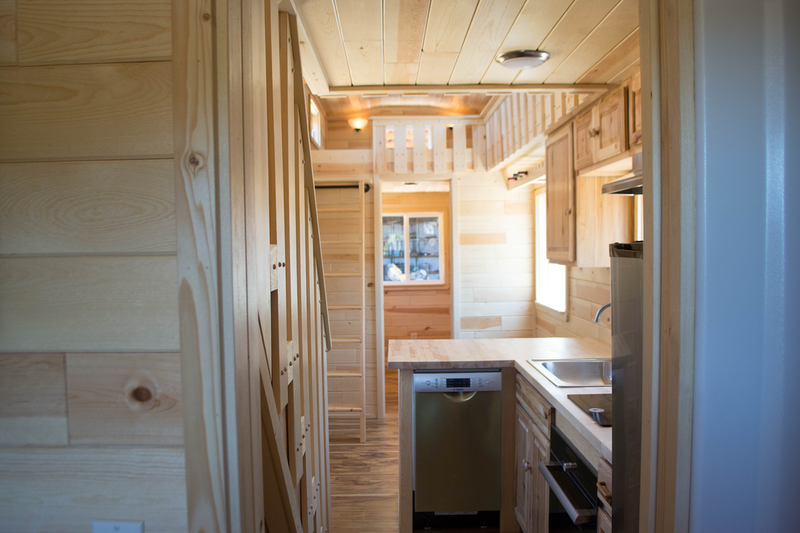 From Tiny Treasure Homes is this contemporary craftsman-style tiny house on wheels. 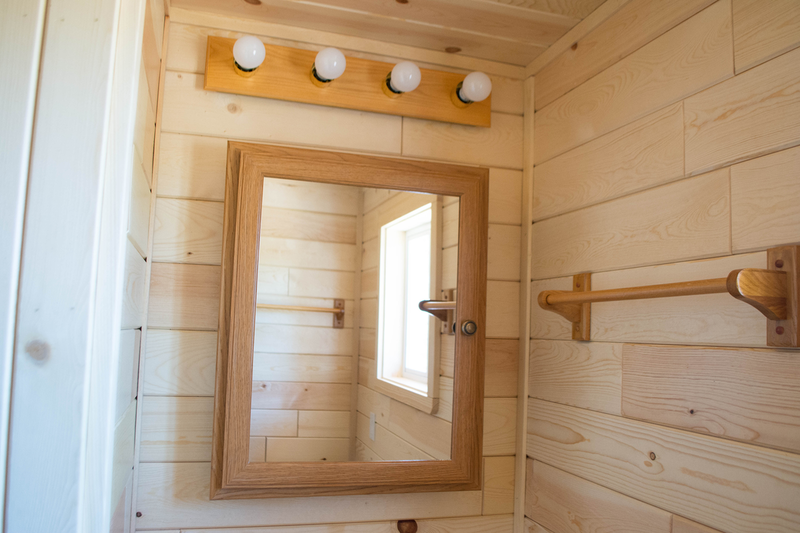 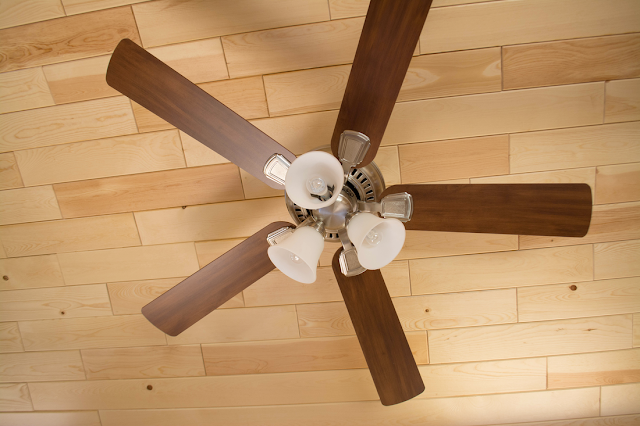 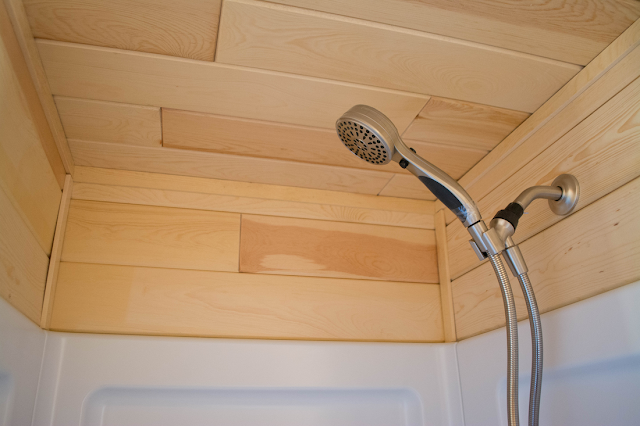 The exterior features a modern/rustic stained wood siding. 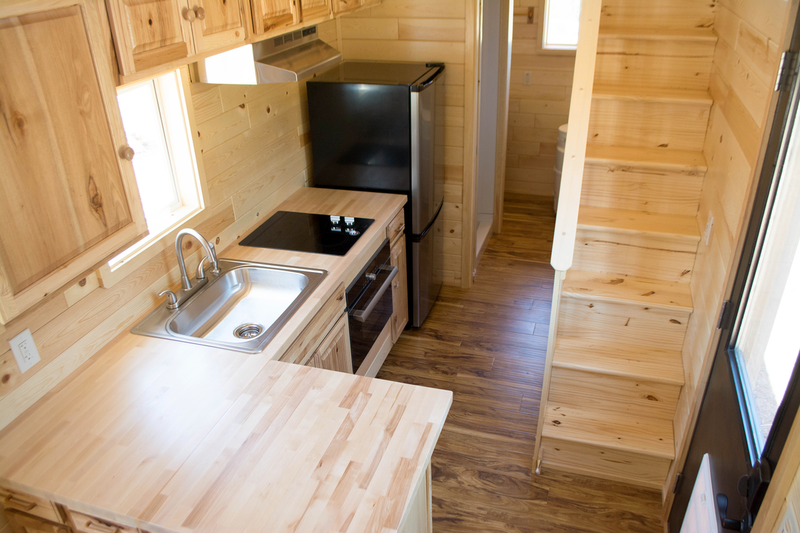 Inside the home's bright interior is an L-shaped kitchen, a bathroom, living room area, a bathroom with a washer/dryer combination, and two loft bedrooms connected by a catwalk. 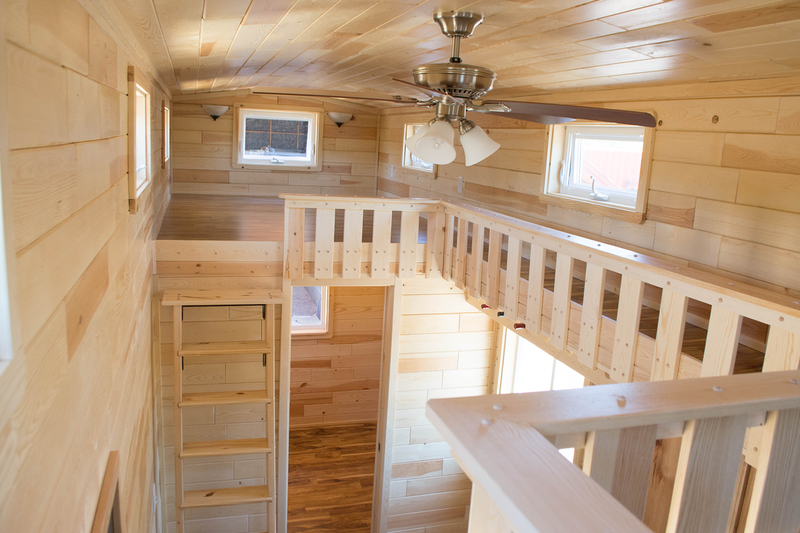 The master loft is accessible by stairs, and the second loft space has removable stairs. 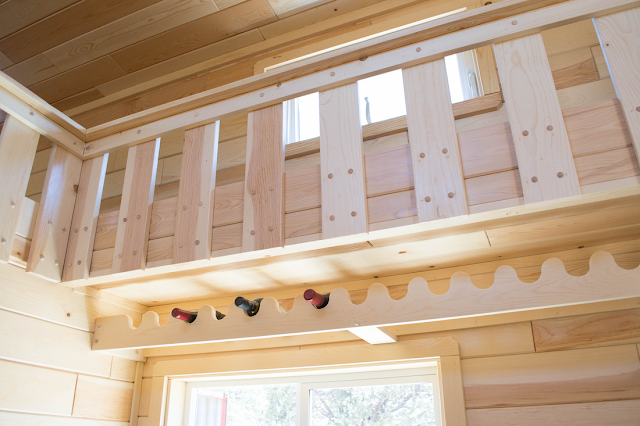 For more information and/or pricing, contact Tiny Treasure Homes here!